Judging by the plethora of Marvel and DC Comics movies that come out on a regular basis, we have become quite familiar with both heroes and villains. Both tend to play similar roles. The heroes are the good guys who are willing to sacrifice themselves for the greater good of others. The villains are the bad guys. But here is the thing about them: They don’t see themselves as the “bad guy.” They generally have a chip on their shoulder, which if we get all psychological about it, is connected to some deep-seated fears and insecurities. These fears and insecurities drive them to engage in negative behaviors to feed those fears and insecurities. To them, these behaviors are fully justified and seem like the appropriate course of action. But to others, such behaviors are destructive. In light of this, consider the leaders in your organization. Are they more like heroes, or more like villains? 82 percent of employees do not trust their manager to tell the truth. 65 percent of employees would prefer to have a new manager over new pay. 60 percent of employees report that their manager damages their self-esteem. These statistics suggest that leaders are generally more villain-like than hero-like. But if you were to ask leaders, they generally see themselves as the hero. As I work with leaders across organizations, I increasingly realize that the reason leaders are more villain-like than leader-like is the same reason why villains are villains: They have fears and insecurities that drive them to engage in fully justified (to them), yet negative, behaviors. These leaders are extremely well-intended, but despite their best aims, they are generally unable to see how their fears and insecurities get in their way. Let me share an example I commonly give to leaders to demonstrate this. Consider an employee within a hedge fund who forgets to put in a trade for a client and the money just sits there in cash. By the time the mistake is discovered, the damage is several hundred thousand dollars. What should the employee’s manager do in this situation? Most of the time, leaders respond by saying that the employee needs to be let go. They feel they need to send a message that this type of behavior cannot be tolerated and that there needs to be a sense of justice. This situation actually occurred to Ray Dalio when he was the CEO of Bridgewater Associates, the largest and most successful hedge fund of all time. Which potential response is more hero-like (sacrifice for the greater good), and which is more villain-like (feeding fear and insecurities)? You see, the leaders who are prone to fire the employee are generally driven by a fear of problems, and thus they engage in an action that they think will reduce problems. But that is not necessarily the case. Problems are inevitable, so those managers who punish rather than guide are not likely to succeed in reducing problems; but they are likely to succeed in reducing the problems that come to light. There is a difference. So, how do we help leaders become less villain-like and more hero-like? One of the keys is to help awaken them to their fears and insecurities. Until they do, they will continue to engage in self-justified and well-intended behaviors that lead to those abysmal leadership statistics. Fear of failure: This fear drives leaders to avoid challenges, give up easily, and seek to validate themselves. Fear of not being seen as being right: This fear drives leaders to seek to have their ideas supported, be “the one with all the answers,” avoid feedback and new perspectives, and see disagreement as a threat. Fear of problems: This fear drives leaders to avoid problems, limit risk, and maintain the status quo. Fear of not winning or getting passed up: This fear drives leaders to see themselves as being more important than those they lead, seek the spotlight, put others down, and take credit for the work their team does. Nearly all dysfunctional leadership can be tied back to these fears. The desire to learn and grow: This desire drives leaders to embrace challenges, persist beyond failure, and invest themselves for the greater good of the group. The desire to find truth: This desire drives leaders to want to see their options optimally, ask questions, seek to understand, invite feedback and new perspectives, and see disagreement as an opportunity to learn. The desire to reach goals: This desire drives leaders to anticipate problems, take on healthy risk, and bust through the status quo when necessary. The desire to lift others: This desire drives leaders to see others as being as important (if not more important) than themselves, share the spotlight, and give credit when credit is due. If you would like to assess how hero- or villain-like you are, or share with leaders in your organization, I invite you to take my free personal mindset assessment. 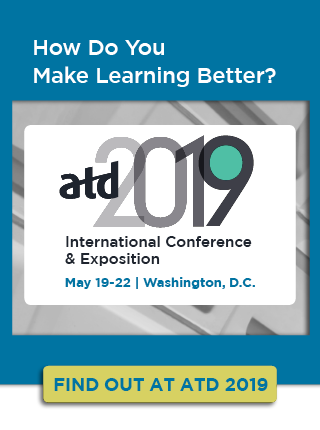 And be sure to join me at ATD 2019 International Conference & Exposition for the session, Become a More Emotionally Intelligent Leader: Awaken to Your Mindset.